The vast majority of competition shooters are, well, old. By old, I mean 40 or older, and this is important because one of the problems that occurs at this time in our lives is that our vision starts to fade. The primary culprit is called presbyopia, a fancy word that means our near vision is deteriorating, especially for reading and other tasks that require close-up acuity. By the time you are 51, almost everyone has some degree of presbyopia, and it is estimated by 2020 nearly 1.4 billion people will be presbyopic. This includes a lot of shooters. The most common symptom is feeling like your arms are too short, but there are other issues important to competition shooters. Presbyopia does two other things: it reduces contrast sensitivity and it slows processing speed. As shooters, we depend on our eyes to acquire and keep the target in order to shoot it. Ideally, we should use one stimulus, the target, to trigger the rest of the shooting cycle automatically. Depending on the technique used, our brains will automatically know when to shoot, assuming we have practiced enough to have reached an expert level. The above scenario is what happens with people who have been able to automate the technique, but beginners have to rely on vision even more. 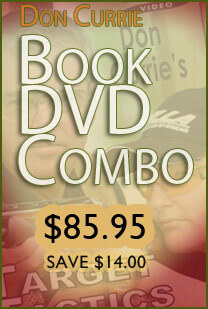 While a beginner will have a multitude of little commands going on at the same time (lead, timing, trigger, etc. ), they are all dependent on what the shooter is seeing. The bottom line is vision is the most important sense for shooting, so it is important we are able to integrate good vision into our shooting domain. The problem is most of us take vision for granted and don’t really exercise vision as part of preparing for matches. Presbyopia is one of many eye problems that can hamper us, but most of them are due to mechanical changes in the way eyes work. Presbyopia, for example, is a slowly advancing problem that can’t be stopped. Optical performance can only be corrected by devices such as glasses or contact lenses, so it is not surprising we see older shooters with prescription shooting glasses. Those shooters will tell you they cannot shoot without the glasses, but glasses alone will not take care of the other problems with aging eyes. Let’s talk a little about the role of vision in competition shooting. As I mentioned above, vision is the most important sense in shooting primarily because you can’t shoot what you can’t see. “Head on the stock, eye on the rock” has been a mantra in our family for decades, and it points out how important seeing the target is. But it is not just seeing the target. A lot of shooters don’t really see the target and that handicaps them, even without vision problems. Vision is not all there is to seeing. Seeing refers to the way the brain processes what passes through the eyes and reaches the brain. Our brains devote a large part of themselves to visual processing and that part of the brain is connected to the rest of the brain. The term “hand-eye coordination” is not a misnomer, especially in shooting. Many years ago I took a motorcycle safety course where the second most memorable thing I learned (the first being you will probably be killed by a motorist who didn’t see you) was that where you look is where you will go. Our bodies tend to follow where we are looking. When there is the need for an automatic response on a motorcycle, you need to look at where you are going, not where you have been. We practiced this method of steering, and it worked well. After a while, it became second nature. An interesting part of this tutelage was it didn’t take very long to automate. A combination of motivation, focus and practical experience made looking where you are going an integral part of riding a motorcycle. 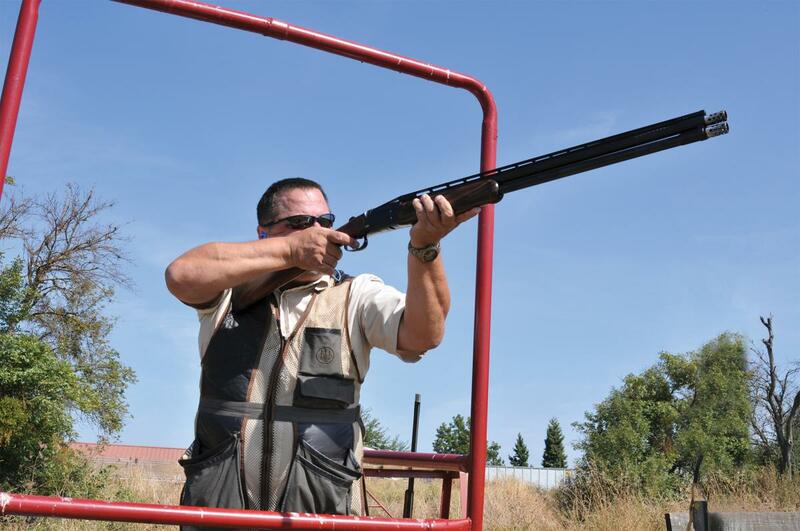 This experience is similar to what happens as a person learns to shoot a shotgun. It was rumored Ted Williams could see the stitches on a baseball turn, and that he knew right away what the pitch was and where it would end up. Williams denied this, but he did have extraordinary vision he put to good use. He stated he could see the ball as it hit the bat, and this was due to long hours of practice and a very scientific attitude towards hitting. A fastball takes about a half second to reach home plate from the mound, and human reaction to a pitch is about a half second. In other words, a decision has to be made and the body react in virtually no time if you are going to get a hit. This takes training and work, but the trigger is vision. The same is true for shotgun shooting. Shotgun shooting is a little different. In baseball, you barely see the ball before it is past you, while most shotgun sports give you an idea about where the target is going to be. A good shooter has to look at the target but also has to find the right lead, place the moving gun in the proper position for a good shot and make the shot all while seeing the target. This involves a complex coordination of skills whose basis is seeing the target. Seeing is not vision. Seeing is the brain processing vision and then reacting to the result. Vision is a key to seeing — and we wear the glasses to both protect and enhance vision — but we tend to not pay attention to the seeing part. This is where we can improve. Ted Williams was noted for having extraordinary vision. The optometrist who tested him at Naval Flight School said he had 20/10 vision, which meant he saw things at 20 feet as well as others see at 10 feet. He had specific and detailed vision. In addition to this gift, Williams made a science of hitting, and he practiced seeing as much as possible of the pitch which helped him make decisions faster than other hitters. It’s this practice that helped him become the last .400 hitter in the majors. As we age, the ability to see details diminishes due to both blurred vision and decreased contrast sensitivity, which is another way of saying “details.” But that is the mechanical side of things. It turns out the brain can alleviate that problem to some extent through training. But processing speed also slows down with presbyopia, which means our reflexive response is a tiny bit slower as we age. This, too, can be helped through training. There are a number of research papers focused primarily on reading that show how brain training can enhance seeing. There are several programs and apps that help with this — I am not in a position to determine which ones are better — that use this research to improve reading skills. Basically, they teach the brain to discriminate smaller and smaller points through the use of training the brain to see and distinguish small dots and other shapes. After a while, the noise that poorer vision adds to seeing becomes less important, and patients are able to read better and perceive details better. In addition, these same studies have shown that processing speed is improved by the same exercises as the uncertainty of poor vision is eliminated. This kind of brain training has also been shown to be effective in hearing and other senses. So what does this have to do with shotgun shooting? Several things. Master-level shooters will tell you they not only see the target, but they see the front edge of the target. This type of discrimination can be enhanced by training and practice by simply making sure you see the target when you practice and making sure this is one of your practice goals. Most of us forget to really look. If we don’t see the target, we can’t do the automatic calculations needed to predict where it is going. Second, as we age, we lose acuity and contrast. We don’t realize this, and when we do we get prescription glasses, that may not be appropriate for shooting in competition. It is important to remember this if you are getting glasses for shooting. Third, even with glasses we lose contrast sensitivity and processing speed. Tinted glasses can help the contrast part, but the only thing that helps processing speed is practice that decreases the noise to signal ratio of what we are doing. In other words, we have to focus and concentrate better.